GREENVILLE, N.C. (December 5, 2011) – In an independent survey conducted by Peerless Media Research Group, Hyster Company ranked No. 1 in brand satisfaction. Current customers of leading lift truck brands including Toyota, Crown and Raymond were evaluated. Peerless Media Research Group’s study surveyed individuals in September 2011 who indicated that they were involved in their company’s lift truck purchase process. The sample group was selected from its Logistics Management subscriber base and represented leading lift truck brands including Hyster, Toyota, Crown and Raymond. The results were based on 540 qualified respondents with a margin of error of ± 4.3 percent. “This is the second No. 1 award that Hyster has received in a four-month span,” continued Dawley. “The first resulted from a July Peerless survey in which Hyster® lift trucks ranked No. 1 in the U.S. for total cost of ownership. Together, our two No. 1 awards are helping propel Hyster to the forefront of the lift truck industry – showcasing our strength in the aftermarket and parts and service arenas. Based in Greenville, N.C., Hyster Company (www.hyster.com) is a leading worldwide lift truck designer and manufacturer. Hyster Company offers 130 models configured for gasoline, LPG, diesel and electric power, with the widest capacity range in the industry — from 2,000 to 115,000 lbs. Supported by the industry’s largest and most experienced dealer network, Hyster Company builds tough, durable lift trucks that deliver high productivity, low total cost of ownership, easy serviceability and advanced ergonomic features; accompanied by outstanding parts, service and training support. In an independent survey conducted by Peerless Media Research Group, the full line of Hyster Company lift trucks ranked No. 1 in the U.S. for total cost of ownership in 2011. 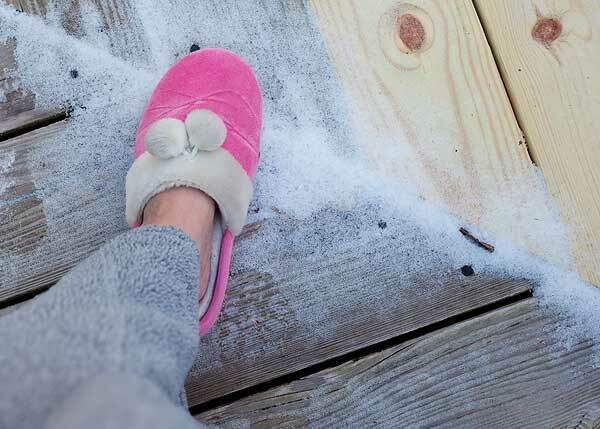 Be “Boy Scout” Prepared for Winter Travel – ALL the time! No matter what time of year it was there was ALWAYS a tool box stashed in the car, and if it was winter you can bet there were blankets, candles, matches, boots, sand, and even snacks in the car too! Oh did I ever get an earful! While cell phones and road service are great they’re not the only tools to have in your winter survival vehicle kit. I have to give my dad credit on that one… I guess I would be really grateful to have a blanket and boots if for some crazy reason my cell phone wasn’t working! Make sure you update the contents of your kit on a regular basis and make sure all drivers and passengers know where to find it. As one of the Midwest’s largest forklift truck suppliers, MH Equipment advises forklift users to get prepared for ice, snow and freezing conditions to ensure that any forklifts critical to a supply chain run smoothly, reliably and safely this winter. To help you be well prepared contact MH Equipment at one of our branch locations near you. MH Equipment Makes 300 Kids Happy for Christmas! During the week of November 14-18, 2011 MH Equipment employees and their families were busy doing a little shopping. They then took what they purchased and filled shoe boxes with trinkets and toys for little boys and girls all over the world. By the end of that week we were able to collect over 300 shoe boxes that will make their way to children in need. While individually a shoe box full of toys may seem like a small thing, collectively we were able to impact over 300 children and bring light and happiness where there might have been none before. What an amazing effort! For more than a decade, Samaritan’s Purse has answered the call to share the love of Jesus Christ with hurting children around the world. 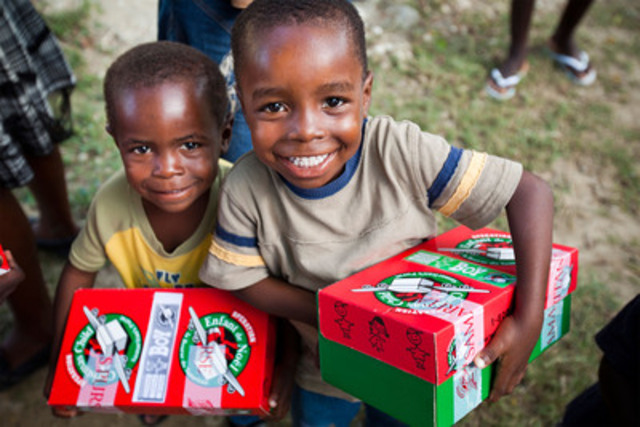 In 2010, nearly 8.2 million shoe box gifts were collected internationally from the United States and 12 other countries for Operation Christmas Child . Since 1993, more than 85 million gift-filled shoe boxes have been distributed to children in more than 130 countries worldwide. We would like to thank everyone who participated in collecting and filling shoe boxes for Operation Christmas Child! Because of your caring generosity, we will be making 300 kids who might not even know it is Christmas, happy this Christmas! Thanks to everyone who participated and making this year’s Operation Christmas Child a HUGE SUCCESS! Introducing… Brad Klosterman! Brad is a Material Handling Specialist and has been with MH Equipment in Cincinnati since August 1, 2011 when MH Equipment acquired Yale Materials Handling in a deal that would make MH Equipment one of the first dual-brand dealerships in Ohio. Brad says the most satisfying thing about working for MH Equipment has been the unquestioned support he’s received from everyone since joining the team. He appreciates the fact that everyone supports what he is trying to do. The Class II part of our business – Narrow Aisle and Very Narrow Aisle trucks really spark Brad’s interests because applications for this product usually require a deeper level of involvement with the customers’ business as well a high level of attention to detail. Brad says this really affords him the opportunity to add value to what the customer is trying to accomplish. Over the years Brad has been involved in a number of sales but the most unique was an application for the Department of Energy. They needed to vertically transport barrels of waste product related to the processing of uranium. Brad ended up selling them a mast assembly – no forklift – which was mounted to the floor and used essentially as an elevator for the barrels. Brad celebrated 10 years of marriage to his wife Jennifer this last spring. Together they have two children, Macy is 7 and their son Kellan is 6. As a family they enjoy doing anything outdoors – soccer, baseball, going to the park, nature walks – you name it! They also enjoy movie night on Saturdays with the kids. Brad has recently taught himself to play guitar. He says it’s important to him to expose his children to music at a young age. When he has downtime he loves spending it with his kids. It doesn’t matter what they are doing as long as they are doing it together. Brad also likes to play golf (although he says he doesn’t get to very often anymore) and he enjoys staying physically active and working out. Brad says he’s been a Cincinnati Reds fan for as long as he can remember – even when he was a kid growing up in Illinois! He and his family would go to Chicago at least once a year when the Reds were playing the Cubs. He must have had a little premonition that he was going to live in Cincinnati one day because he moved there after he graduated from College! Brad says the best thing about working for MH Is getting the support of what a large corporation can offer combined with the feeling of working for a smaller company. Thank you for sharing a little about yourself with us Brad! All of us within the MH Family welcome you and look forward to sharing in your successes!